I can truly say that this soap is all about the man when it comes to scent. This is the kind of soap your lady friend, wife or better half will want to sneak a use just because she loves the way you smell after the shower. Herban Cowboy is totally Organic. This soap feels really silky to the skin and rinses off sweet. The lather is nice and it will suffice for a close shave. 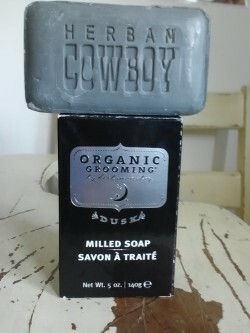 Guys, if you have not tried Herban Cowboy soaps I highly recommend it. You can find it at out your local Whole Foods store. If they don’t carry it ask them to re-order it because it is really that good. Best Soap money will ever buy…Guaranteed.